Health journalism has a bad reputation. One day, something helps you lose weight, the next, it could make you fat. 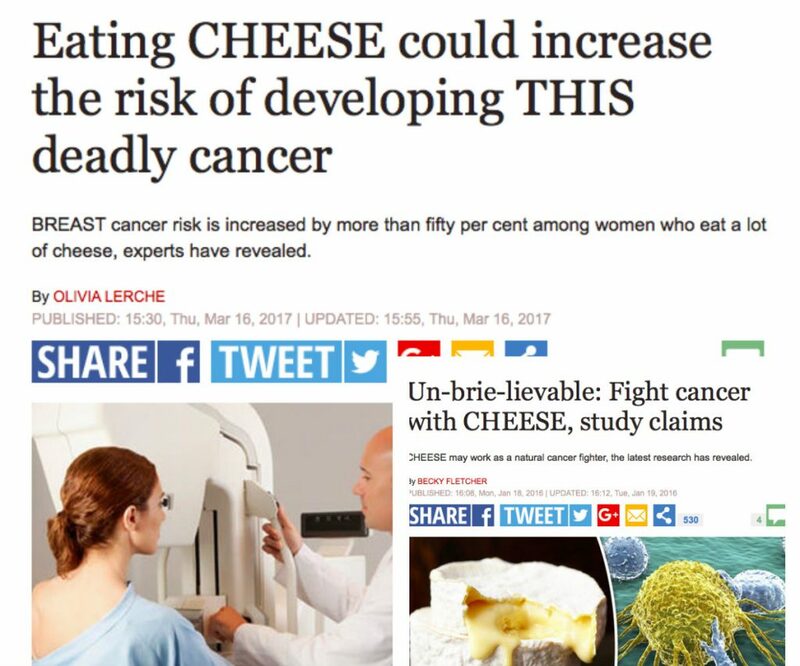 If you believe the headlines, nearly everything gives you cancer. Luckily, there’s another way of reporting on health issues. My research paper Improving the Quality of Health Journalism: When Reliability Meets Engagement explains how to ensure health journalism is responsible and credible, while creating stories that are widely read and shared on social media. The study is based mainly on in-depth interviews with eleven UK and US-based journalists and experts, specialising in health and science journalism. The research was conducted between October 2016 and April 2017. 1. Use research as a primary source of evidence, not as a primary source of news. Offering an endless flow of new study results gives a superficial sense of newness but doesn’t make your reader smarter. Instead of covering new study results, find your own topics and put them in the context of evidence. 2. If you end up reporting a single study, scrutinise its quality. Put the paper in the context of previous research and use independent experts. Explain the possible caveats and limitations of the study. 3. Be transparent. Link to the original sources and explain any possible affiliations of the interviewees. 4. Be aware of the risk of false balance. The world is full of conspiracy theorists whose claims can’t be compared to the views of an experienced expert. When you hear opposing parties, don’t only report their arguments, explain the evidence behind them. 5. If you are dealing with a complex topic, take your time to write a long article. Place the topic in the context of the evidence and wider societal discussion. People do read long stories online but there’s one requirement: they must be engaging. 1. If you can, find an angle that readers can easily relate to. Focus on people and put their experiences in context with the evidence. Remember, that people love good stories. If your story is long, rely on the principles of narrative journalism: find a main character and build a dramatic structure. 2. Use people’s sharing motivations to your benefit. People share stories on social media to help others, look smart, express their identity and share their awe, joy and anger. 3. If you are writing about a particularly difficult medical issue, such as antibiotic resistance or obesity, consider possible solutions to the problem. Offering a spark of hope can make your reader feel more empowered. 4. Attract your audience’s attention on social media by using interesting headlines, an appealing image and a catchy intro. Remove possible obstacles like slow-loading photos or multimedia that require extra clicks. 5. Be yourself. If your media and topic allow, use humour and personal voice. This will help you connect with your reader as an individual, not as the distant representative of a news organisation. The research is based on 11 semi-structured interviews with old and new media journalists and other experts. The interviews covered the whole journalistic process from choosing the topic to finishing the presentation. Question 1: What practices can journalists use to ensure the reliability and accuracy of health information? Question 2: What practices can journalists use to enhance audience engagement with health journalism? Question 3. How are these ideas put into practice in new and legacy media? Heini Maksimainen is a Finnish freelance journalist who specialises in health and wellbeing journalism. She's been working in journalism since 2006 as a writer and sub-editor.Before she started freelancing in 2015, she worked for Finland’s leading women’s magazines, such as Me Naiset and Trendi, and main national newspaper, Helsingin Sanomat.Currently she writes for several Finnish magazines and newspapers including Helsingin Sanomat, Trendi, Elle, Fit, Sport, Meidän Perhe, Voi Hyvin, Kotiliesi and Kotivinkki.Heini was a Journalism Fellow at the Reuters Insitute for the Study of Journalism, 2016-2017. Television to Blame for Debt?